09 June 2015 Update: There are now further details as to how this service will work. Beginning 10 June 2015, passengers will be able to benefit from a much more flexible ticket rebook option which allows travellers to change their destination. Prior to this date, it was only possible to change the date of travel, rebook onto a different train, or change a class of travel. The new change allows passengers to also alter their final destination — there is no need now to first return tickets for a refund, then to buy new tickets, which could result in two different operations — translated at times into two different queues! 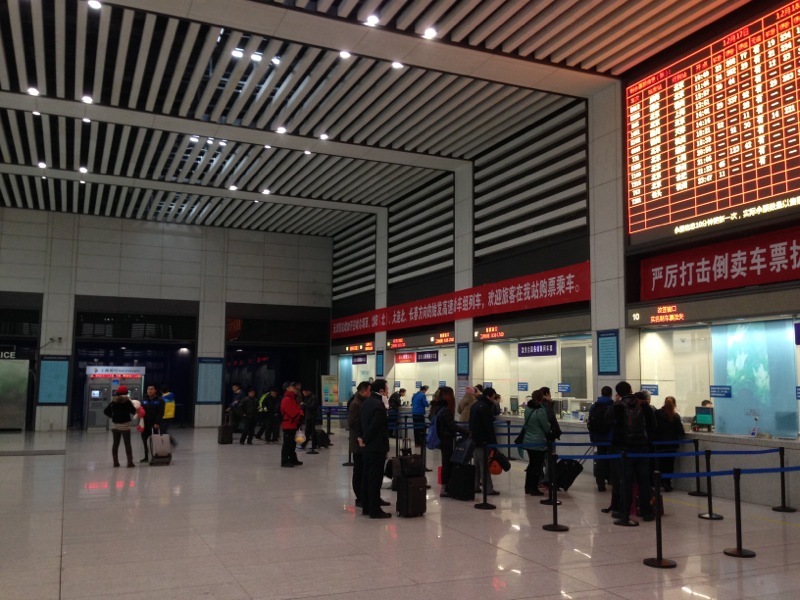 As long as advance booking is available (which is nearly always the case), passengers can change the final destination of a ticket simply by changing this at the rebook counter or online at 12306.cn. However, there is a deadline: changes to your destination are available only before — and no later than — 48 hours prior to departure. This means it is often in your best interest to finalise plans early, so that you can change your destination in time. With this new option, you are saved both excessive queuing and, in general, refund fees. You only need to pay the price difference between your original and rebooked ticket. If your rebooked ticket ends up cheaper than your original ticket, you will only need to pay the refund fee applicable for the price difference. Please remember to bring your identity document with you, as you might need it at the counter if requesting this change at stations. This document must be the same as the one used to purchase your original ticket. Originals work best at the counter.